The stylish pTrumpet 3C trumpet mouthpiece in red is perfect for all playing environments. If you are looking for a backup mouthpiece or a mouthpiece for harsh weather conditions, the pTrumpet mouthpiece has you covered. 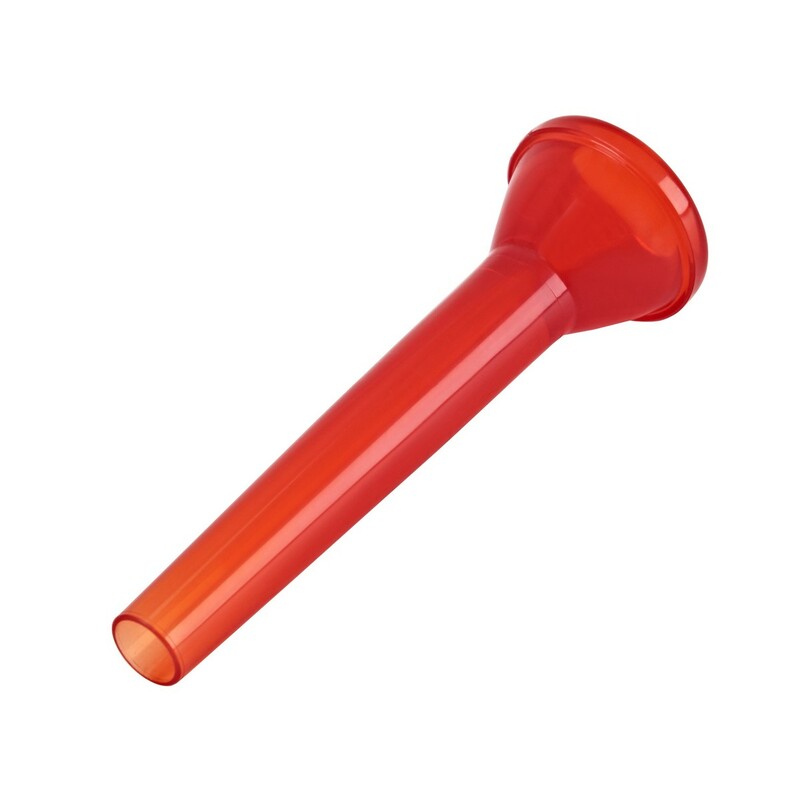 All pTrumpet mouthpieces can be used with either a plastic pTrumpet or standard brass trumpet. 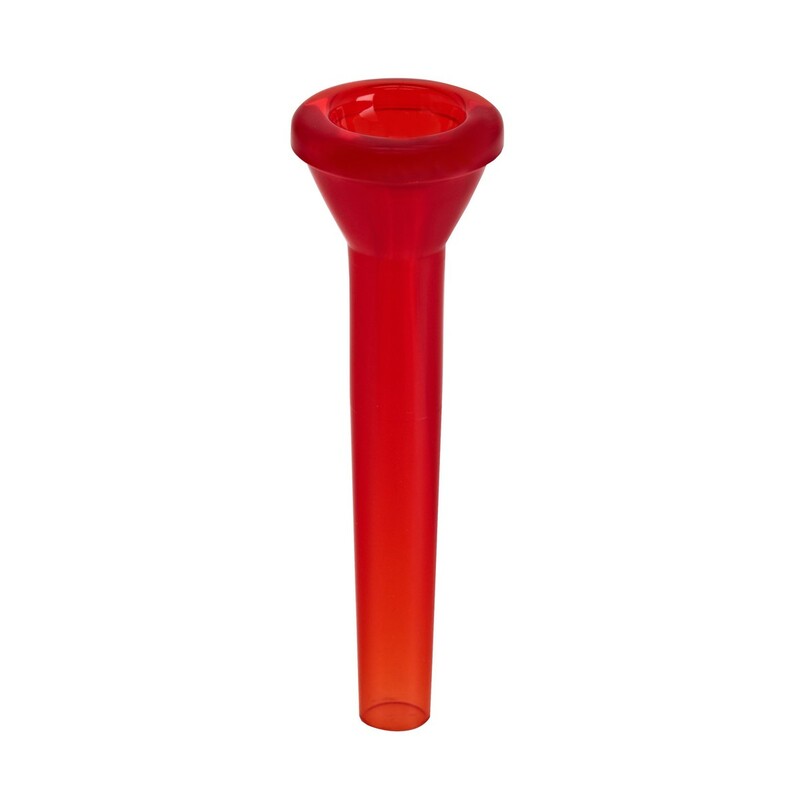 The 3C mouthpiece produces a versatile tone thanks to the 16.30mm cup diameter and medium throat size. The medium wide flat rim combined with the fairly large cup is ideal for all-around use. This allows for both fast delivery and cantabile playing, suitable for intermediate and advanced players alike. Thanks to the durable plastic composite construction, the pTrumpet mouthpiece is very hard wearing, both in the design and sound. Whether you're playing an outdoor summer concert, or carolling in winter, this mouthpiece won't get cold in between pieces. Musicians are guaranteed a long lasting service with an excellent performance to match. Available in a large range of colours, please visit our trumpet mouthpiece page to find the perfect pTrumpet mouthpiece for you.